There has been a clear progression of frame rates from Lumix GH cameras from 60p to 96p, 120p and most recently 180fps with the GH5 and G9. However, if the GH5s ships with 240fps we can safely assume that the spec will now be the bare minimum frame rate for a flagship camera in full HD instead of the 120fps most can shoot in high-quality mode. The GH5 suffered from quality degradation above 120fps with aliasing and moire taking a toll. If the new camera can deliver 240fps with the same quality as 120fps then it will be a milestone mirrorless camera. MSRP $2,500 Announcement Jan 8th! If Panasonic is able to deliver such camera by early 2018 we can rest assured this will push other manufacturers to up their game when it comes to frame rates. We expect to see 4k 120fps in a mid-range camera during 2018 and 240fps 1080p should make its way into more affordable segments. The Sony RX line, for example, has a 4-second recording limit in quality mode at 240fps Full HD which could be made continuous in the next iteration. One thing that troubles us by Panasonic is that the 240fps mode in their recently released EVA1 professional camera has a quality loss that is severe at 240fps with softness and blotchy noise that makes it look more like 720p. If the GH5s has the same type of quality then we cannot say in honesty the camera will be groundbreaking for affordable slow motion. The GH5s needs to deliver the same 120fps quality the current GH5 does at the higher 240p rate for it to be a real step up. The elephant in the room is the long-awaited Sony a7s Mark III which should be Sony’s answer to Panasonic and Canon offering class leading low light performance with an HDR component in the $3,200 price range. Sony has also shown that high frame rates are their game with the RX/Motion Eye technology. If the new a7s III includes the first full frame sensor with on-sensor multi-layered accelerated DRAM, it could create a product so advanced that the competition will have to go back to the drawing board in order to compete. 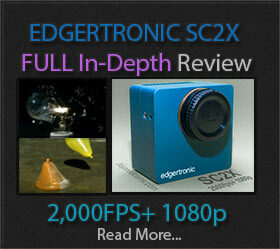 Some rumors suggest this while others just claim a 2 stop improvement in low light capability and dynamic range. We will have to wait and see. 2018 could be the year we have been waiting for to really be excited about high frame rates in affordable cameras that can maintain quality. Samsung and Sony are also launching new high frame rate phones next year. 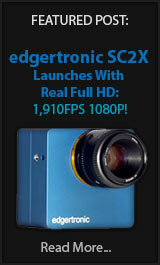 It is an exciting time for high-speed video and especially with portability in mind. Previous PostGH5 Firmware 2.2 Update for VFR And More!Next PostNew Phantom Camera 1080p 20,000fps in 2018?